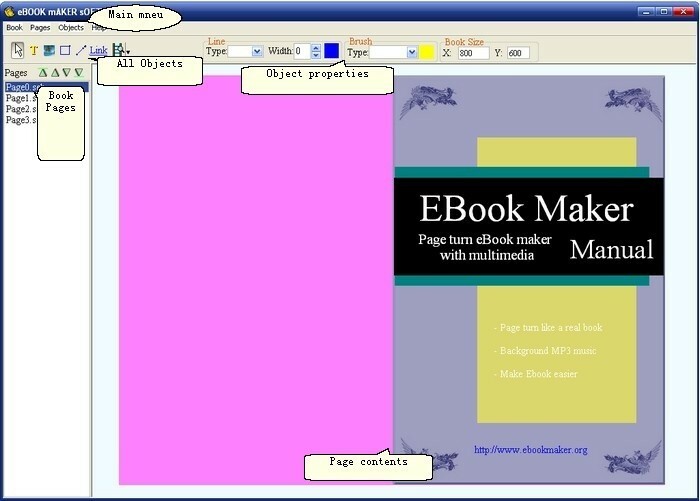 EBook Producer is a software to make ebook that consist of many pages, Text,image,animated gif and link can be inserted into ebook pages. Background music can be supported too. The compiled ebook contains the book reader software and all the contents of the ebook in one windows executable file, The compiled ebook pages can be turned forward or backward like a real book is turning.